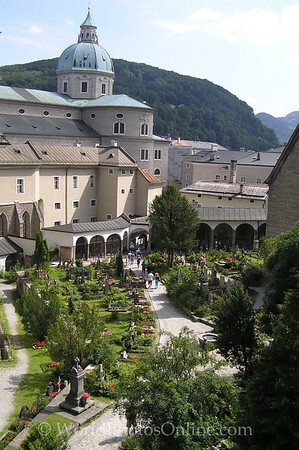 When Americans think of Salzburg, they think of “the Sound of Music”, but keep in mind we are the only ones that do… Salzburg is also known as the birthplace of the composer Wolfgang Amadeus Mozart in 1756. The Old Town is a UNESCO World Heritage Site and is known for its baroque architecture, it is a wonderful scenic walk. The Hohensalzburg Castle which sits on a hill overlooking the old town is one of the largest castles in Europe and is in great shape with good tours. It can be accessed by a funicular. Mirabell Palace has wide gardens full of flowers and its Marble Hall is a great place for a wedding, so look for the wedding parties in the gardens waiting their turn. The St. Sebastian's cemetery is also worth a visit to see the well-kept and ornate graves. If you get thirsty or hungry I would recommend the Augustiner Braustubl (beer garden) which has the best beer I have ever tasted and the food and ambiance is great.